Love Thy Neighbor is the third and final part of The Neighbors, an exhibition series guest curated by Sofía Hernández Chong Cuy for The Bronx Museum of the Arts. In this third iteration of the series, “the neighbor” is characterized as the figure of the “Other,” that is, an entity viewed as distinctly foreign from the community, but who ultimately plays a role in the group. By centering on the representation of cultural difference, Love Thy Neighbor is meant to be an occasion for considering alterity, for how diversity sensibly builds society. The exhibition features new work by visual artists Firelei Baez, Ignacio González-Lang, and Irvin Morazan, with the intent of exploring the cultural processes of “othering.” The exhibition will also include a new performance, “Volver, Volver,” by Morazan, to be presented during the exhibition opening on Sunday, March 5, 2017 at 3 pm. Firelei Baez’s new paintings on paper for Love Thy Neighbor are a continuation of her longstanding investigations surrounding cultural points of encounter, specifically the ways in which Caribbean narratives shape bodies, myths, and histories. With an interest in addressing the blending of species, her new work is inspired by the composition of becoming self and other at once, not only uniquely individual, but also singularly indistinguishable. 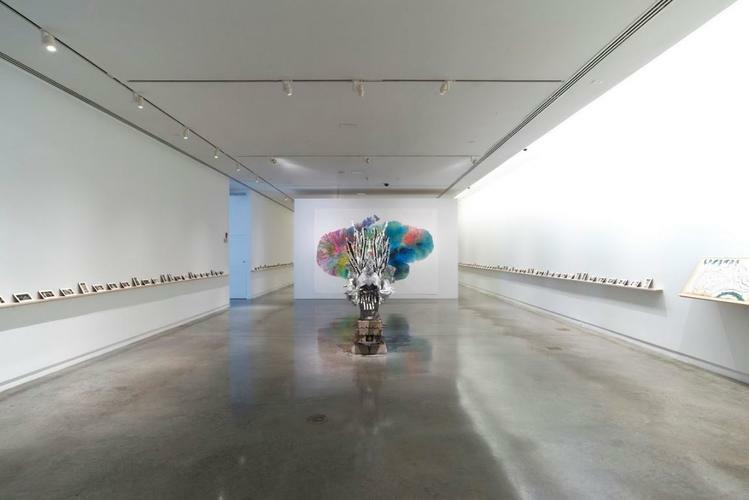 In creating the work in Love Thy Neighbor, the artist was particularly inspired by a fable of pollination between a wasp and an orchid, which French philosophers Gilles Deleuze and Félix Guattari used to establish identity as a dynamic process of encounter and difference. Portraying human figures made from flora and fauna, Baez creates her own fable, with her visual explorations fusing body and pleasure. 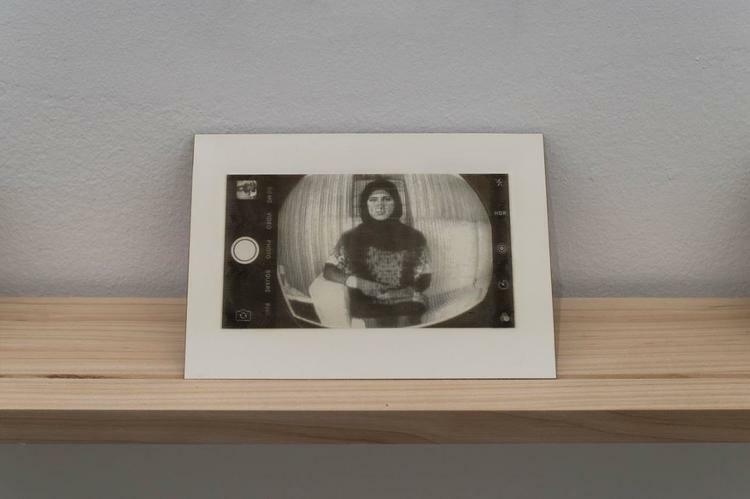 Since 2004, Ignacio González-Lang has been exploring the inter-related practices of profiling and surveillance, with an interest in working with print and digital media and biometrics. The artist has collected police drawings of criminal suspects from local newspapers for over a decade, which are regularly published in dailies to crowd-source information related to police investigations. 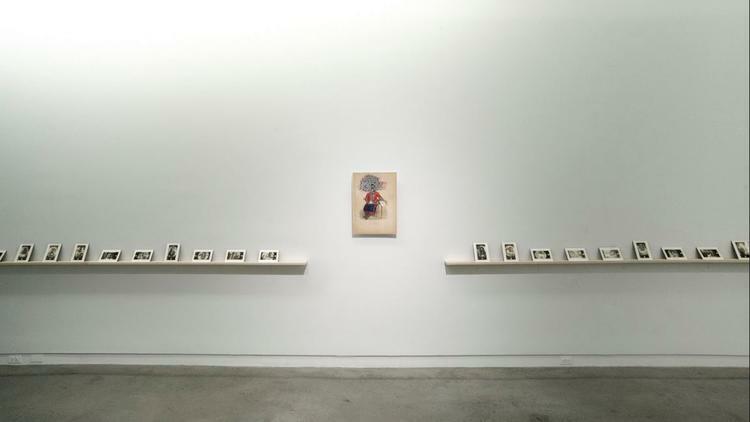 For Antisocial, created especially for Love Thy Neighbor, the artist employs this archive to develop a photo-based installation that wraps around the gallery space. The installation consists of more than one hundred discrete photo-composites printed on ceramic plates, each combining a press clipping of a police sketch and an image drawn from the popular social-media app Instagram (using the hash tag #NewYorkCity). The result is a collection of individual portraits of New York City dwellers with common settings as their background. Irvin Morazan’s work for Love Thy Neighbor examines the geography of the Americas. 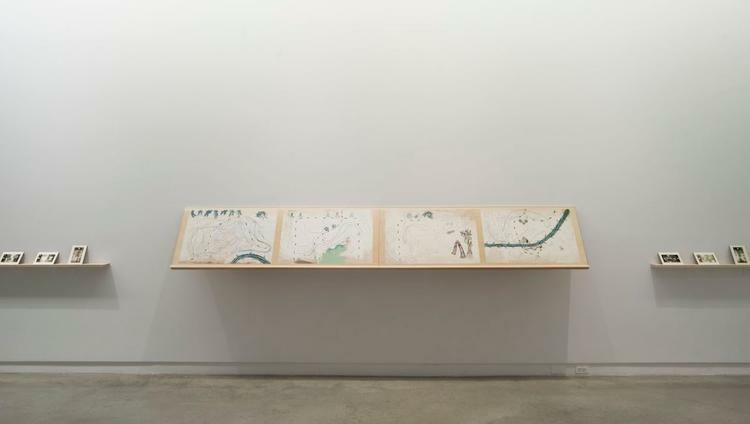 The artist reproduces maps from the sixteenth-century manuscript Historia Tolteca Chichimeca, originally written in Nahuatl in Mexico. The manuscript presents a diagrammatic cartography of routes and passages of markets, dwellings, and displacements of an indigenous community colonized by Spain. 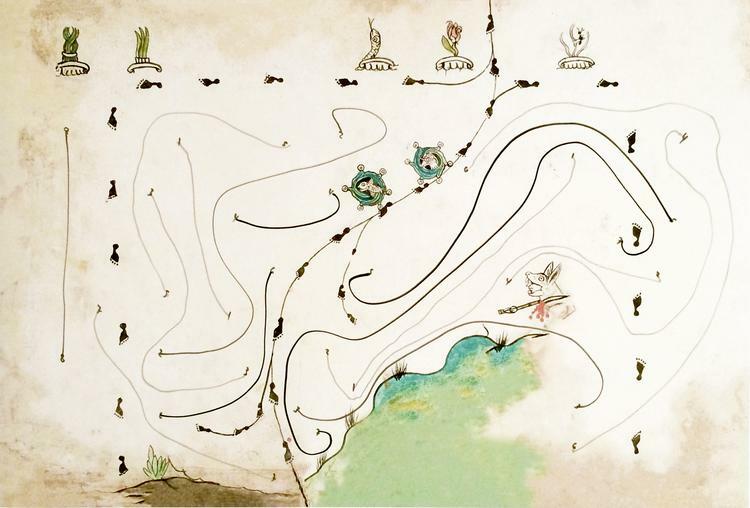 On these maps, Morazan traces imaginary immigration routes, sketches made by undocumented immigrants in the United States, as well as illustrations inspired by a Salvadoran game called Tripa Chuca, a pastime which consists of creating a map between two people through the use of lines and inter-connected numbers. As a child, Morazan immigrated alone to the United States from his native El Salvador. 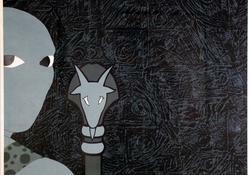 These drawings, then, document the history of his displacement and cultural exchanges. The figure of el coyote—or border-crossing agent, who led Morazan through Central America, Mexico, and into the United States—is also a protagonist in these illustrations, as well as in his sculptures in the exhibition. 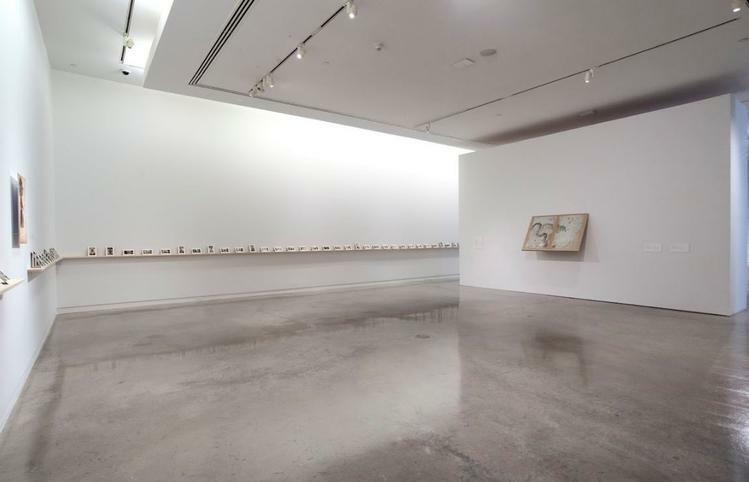 The writings of philosophers Michael Hardt and Antoni Negri ultimately play a pertinent role to The Neighbors exhibition series as a whole. In their book Commonwealth from 2011, Michael Hardt and Antonio Negri interpret the enduring mandate of “Love thy Neighbor” as a proposal to love the “Other,” such as a stranger or those furthest away. At the same time, they also explore the ways of corrupted love when the neighbor becomes, instead, those considered most approximate or communities who resemble one another. Love Thy Neighbor intends to explore, and hopefully challenge, the ways in which art explores and expresses these experiences. It does so to examine what “makes” a neighbor, more so than who is the neighbor. In short, Love Thy Neighbor proposes comprehension rather than allegiance. Central to The Neighbors exhibition series is an investigation of the multiple ways in which artists explore identity politics today, an issue tackled less as a personal exploration of ethnicity alone than as an examination of the ways in which social classes are constructed and their divisions purportedly manifested. As the title may suggest, the series explores, on the one hand, shared yet defined territories, while on the other hand, highlighting the fact that the participating artists in the exhibition are in close proximity to—closely related, although not exactly inhabiting or native of—the communities that they are working with or representing in their work. The artists’ works result from artistic investigations taking place in their studio environments, as well as in domestic realms, the public sphere, archives, and social media. The first exhibition of The Neighbors was Caza, featuring artworks by Rochele Gomez, Margaret Lee, and Alejandra Seeber; it took place from July 13 to September 25, 2016. The second iteration of this exhibition series took place from October 12, 2016 to February 12, 2017, and consisted of two concurrent solo-shows meant to be seen in dialogue: Sanctuary, featuring artworks by Andrea Bowers, and Home, presenting photography by Andrea Aragón. The third and final exhibition in the series, Love Thy Neighbor, will be on view from March 1 to June 11, 2017. Irvin Morazan, Requiem for a border crossing of my undocumented father #4 (2016), Archival Inkjet Print, 20 x 30 inches. Courtesy of the artist.